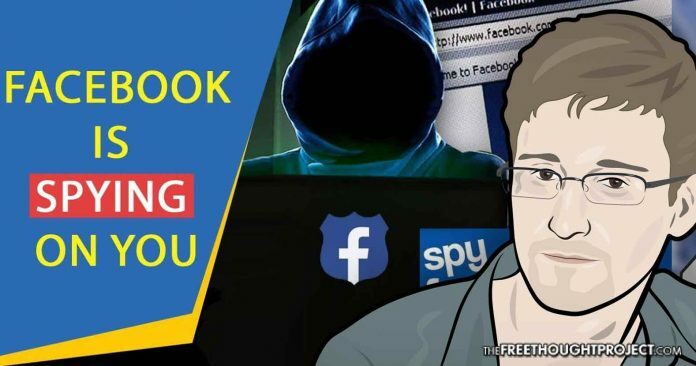 Snowden: Facebook is a Surveillance Company Lying to the World About Being "Social Media"
Snowden had this to say about Facebook. "Their rebranding as 'social media' is the most successful deception since the Department of War became the Department of Defense." (ZH) NSA whistleblower and former CIA employee Edward Snowden slammed Facebook in a Saturday tweet following the suspension of Strategic Communication Laboratories (SCL) and its political data analytics firm, Cambridge Analytica, over what Facebook says was improper use of collected data. In a nutshell, in 2015 Cambridge Analytica bought data from a University of Cambridge psychology professor, Dr. Aleksandr Kogan, who had developed an app called “thisisyourdigitallife” that vacuumed up loads of information on users and their contacts. After making Kogan and Cambridge Analytica promise to delete the data the app had gathered, Facebook received reports (from sources they would not identify) which claimed that not all the data had been deleted – which led the social media giant to delete Cambridge Analytica and parent company SCL’s accounts. Of note, Cambridge Analytica worked for Ted Cruz and Ben Carson during the 2016 election before contracting with the Trump campaign. Cruz stopped using CA after their data modeling failed to identify likely supporters. Cambridge Analytica has vehemently denied any wrongdoing in a statement. In response to the ban, Edward Snowden fired off two tweets on Saturday criticizing Facebook, and claimed social media companies were simply “surveillance companies” who engaged in a “successful deception” by rebranding themselves. Businesses that make money by collecting and selling detailed records of private lives were once plainly described as "surveillance companies." Their rebranding as "social media" is the most successful deception since the Department of War became the Department of Defense. Snowden isn’t the first big name to call out Silicon Valley companies over their data collection and monitoring practices, or their notorious intersection with the U.S. Government. In his 2014 book: When Google Met WikiLeaks, Julian Assange describes Google’s close relationship with the NSA and the Pentagon. In 2013, the Washington Post and The Guardian revealed that the NSA has backdoor access to all major Silicon Valley social media firms, including Microsoft, Yahoo, Google, Facebook, PalTalk, AOL, Skype, YouTube, and Apple – all through the notorious PRISM program which began in 2007 under the Protect America Act. PRISM’s existence was leaked by Edward Snowden before he entered into ongoing asylum in Moscow. Microsoft was the first company to join the PRISM program. After PRISM’s existence was leaked by Snowden, the Director of National Intelligence issued a statment which stated that the only people targed by the programs are “outside the United States,” and that the program “does not allow” the targeting of citizens within US borders. In 2006, Wired magazine published evidence from a retired AT&T communications technician, Mark Klein, that revealed a secret room used to “split” internet data at a San Francisco office as part of the NSA’s bulk data collection techniques used on millions of Americans. During the course of that work, he learned from a co-worker that similar cabins were being installed in other cities, including Seattle, San Jose, Los Angeles and San Diego, he said. “They are collecting everything on everybody,” Klein said.